Employees load meals into a new food delivery vehicle at the Voluntary Action Center on Wednesday, Oct. 20, 2016 in Sycamore. The organization recently submitted a grant to the Walmart Foundation which was approved for $92,000, allowing for the purchase of two new food delivery vehicles, termed "hot shots", which have heated and refrigerated compartments. 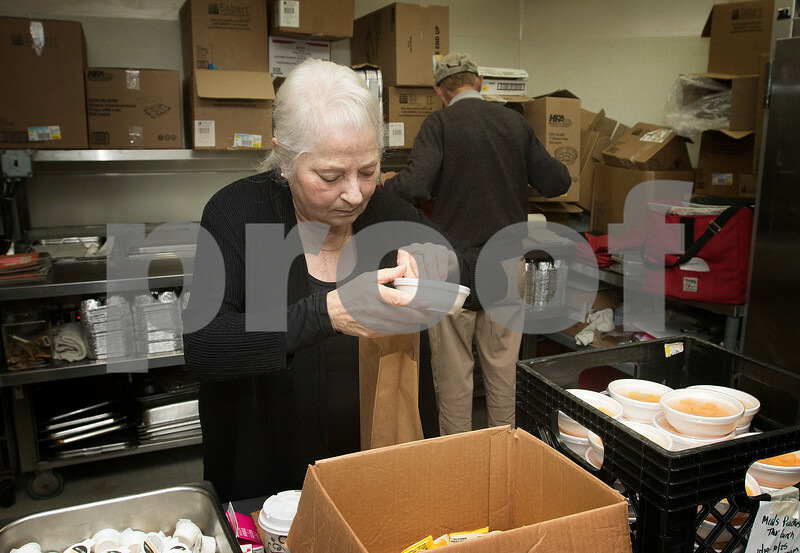 Adrienne Soroka of DeKalb packs meals at the Voluntary Action Center on Wednesday, Oct. 20, 2016 in Sycamore. The organization recently submitted a grant to the Walmart Foundation which was approved for $92,000, allowing for the purchase of two new food delivery vehicles, termed "hot shots".